Herbs and spices are wonderful! As well as being 100% natural, there are loads of yummy and unique herbs and spices suitable for weaning. Available in fresh, ground or dried varieties, most are safe to use as long as your little one isn’t allergic to them. The key is to start with just a little and build up from there. Pinning down the flavours of herbs and spices can be tricky – there are many levels of depth (for example, cinnamon tastes sweet, but has woody and warm undertones), making just one herb or spice a culinary adventure for your baby. Without wanting to overwhelm tiny taste buds, I’ve created an easy to follow One-Week Feeding Plan for safe introduction and quick transition to herbs and spices. Ideal age to introduce baby to herbs and spices is between 6 and 7 months of age, after first tastes have been accepted and baby’s digestive system is further developed. Before you head over to my feeding plan, take a peek at my 19 first taste herbs and spices for weaning your baby. These are ideal to begin with and I’ve divided them into sweet and savoury herbs and spices. Should you wish to create your very own flavour-bursting combinations for your baby, the below will help you choose yummy, complimentary flavours for your little one’s flavour-led weaning journey. Avoid spices with heat - cayenne pepper and hot chilli powder for example, until baby is at least 3 years of age. Feeding your little one sweet and savoury herbs and spices regularly is a great way to expose tiny palates to a variety of different flavours in everyday vegetables, meat, fish and fruit. In my experience, this variety helped broaden little taste buds and stopped fussy eaters from developing. Take a look at some of my yummy recipes here. We’ve all seen the growing number of spice blends on the supermarket shelves. 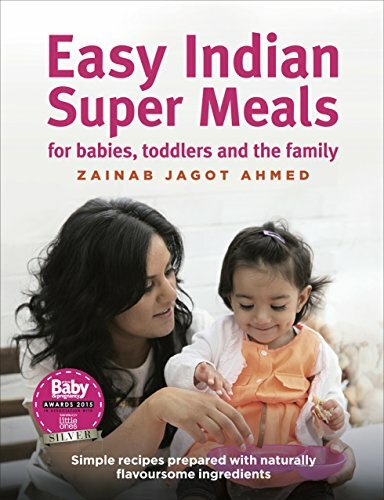 Whilst these look great, and convenient for cooking a Madras curry or a Tandoori BBQ, these aren’t quite right for early stage weaning babies. Spice blends are best introduced after 10 months as they are usually a combination of at least five spices or more, which may overwhelm a 7-month-old’s taste buds. Always check the label on supermarket blends to avoid added salt. Spices are available in whole and ground varieties. When weaning baby, you can use ground spices, or buy spices whole and use a pestle and mortar to grind them into a powder as required. Ground spices are quick and easy, but loose their flavour after a few weeks once opened. Whole spices, whilst requiring a bit more effort, keep their flavour for longer. So the choice is yours really. I keep both in my spice tin and use whichever variety I feel like using on the day. All spices you buy must be produced by reputable brands and sealed with a clear expiry date on the packet. If you are unfamiliar with spice brands, buy them from well-known supermarkets only. Once the packet is opened, store the spices in a clean, dry, airtight container away from sunlight, to ensure spices remain fresh for your baby. Weaning with herbs and spices, also known as Flavour-led Weaning, can have a number of benefits for your baby. 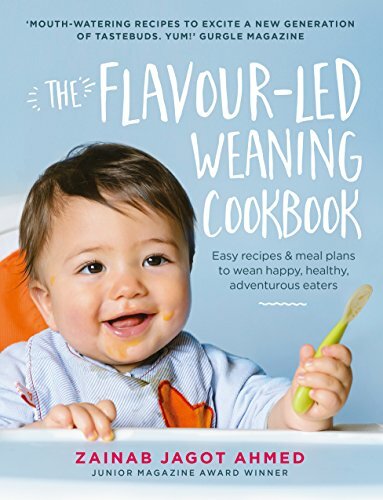 Read my article Life-Enhancing Benefits of Weaning Your Baby with Unique Flavours: Flavour-led Weaning.